By definition, a wand is slender handheld stick or rod made of either wood, metal or stone. They have been used for millennia by various cultures all around the world. In the larger scope of things, the term ‘wand’ encompasses a wide variety of objects. A staff, staff of office, rod of power, sceptre, and virge are all ’wands’. Although used in different ways they all denote power, leadership and authority. Ancient Egyptians for example often depicted their gods, priests and pharaohs holding a staff or rod of power. show Seti I holding a sceptre and the god Anubis a staved Ankh. 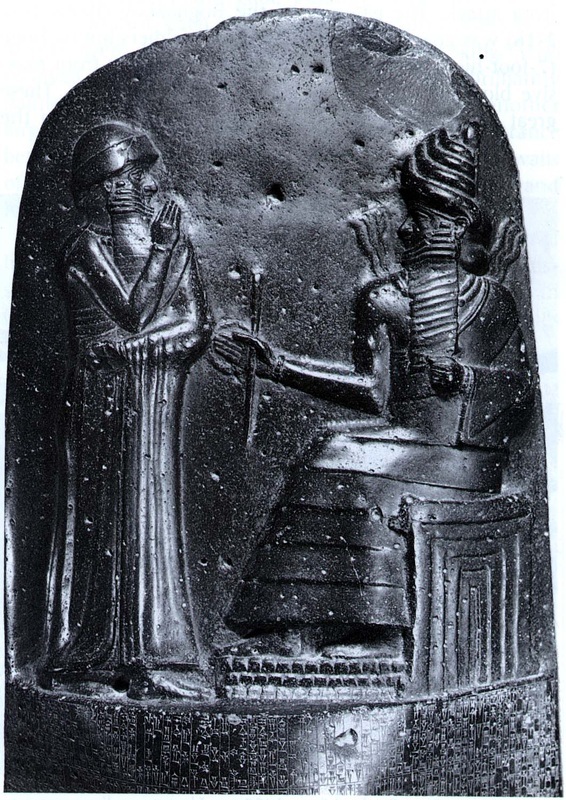 Code of Hammurabi (1750 BC). In Greek mythology Hermes, the Messenger of the Gods, carries the caduceus, a special wand or staff that symbolized heralds or messengers. The caduceus has become an international recognized symbol of commerce and negotiation. 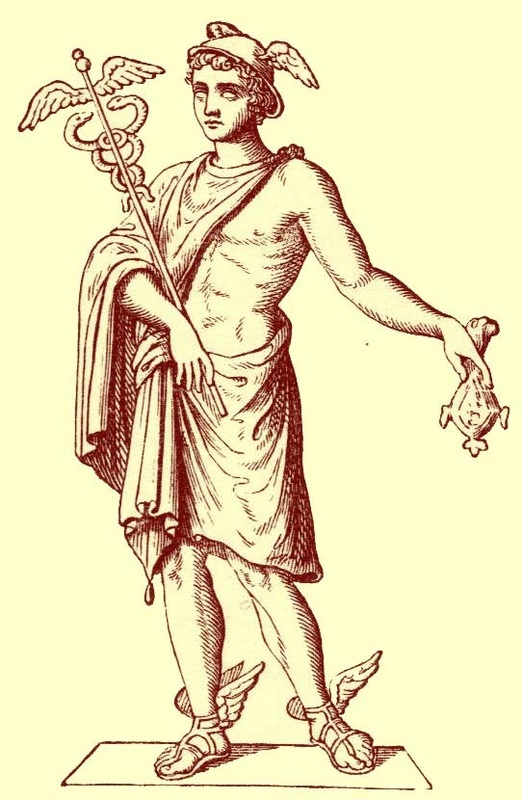 Asclepius, the God of Medicine carries a similar staff, known as the Rod of Asclepius. Today, an international symbol of medicine and healing. There is some scholarly debate that the origins of the wand may even be based in pre-history. It is believed that the earliest form of a wand was used by Shaman in Central Asia as a drum stick and pointer while performing religious, healing and magical ceremonies. It is also well known that Druids, the priests of Celtic society, used wands when performing rituals and ceremonies. Druidic wands were made of either oak, apple or yew wood. One of the more notable wands in history is The White Wand, or Wand of Sovereignty. In the Gaelic world it was the symbol of a Gaelic kings power and authority. In Scotland the White Wand was used to inaugurate the last Gaelic kings in the 13th century, the Lord of the Isles in the 15th century and in Ireland well into the 17th century. 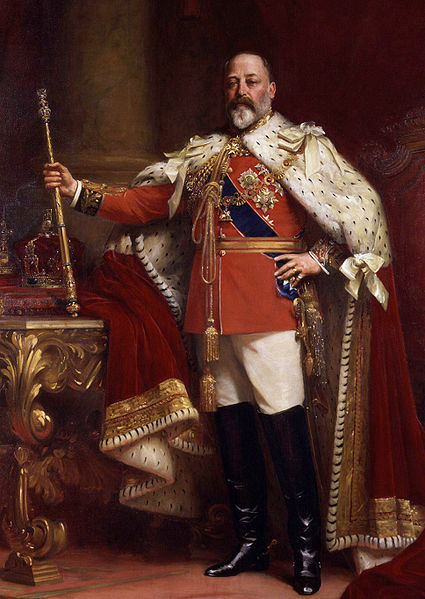 In more recent times many monarchs of Europe are shown holding sceptres or rods of power. 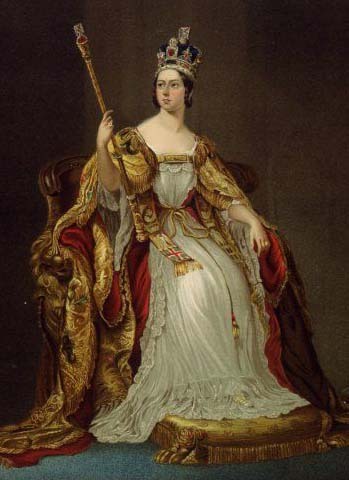 The very act of holding a wand, sceptre or rod of power has both a physical and psychological significance. There is a feeling of empowerment, as if your physical and mental strengths are drawn to it. In essence, the wand is an extension of yourself. It becomes the focal point of your inner energy. Witch or wizard is very broad term that we use today in describing someone who uses magic, supernatural or divine powers to affect or detect the world around them. Depending on culture, time and place the label of witch or wizard, for bad or good, have and can be applied to the following: sorcerer, sorceress, warlock, mage, magician, mystic, fortune teller, psychic, oracle, medium, priest, priestess, enchantress, alchemist, astrologer, necromancer, healer, prophet, witch doctor, shape shifter, trickster, shaman, and medicine man. The term witch and wizard have also been used to describe heretics, midwives, philosophers, scientists, mathematicians, astronomers, theologians and pagans. The Witch of Endor - Old Testament - She is asked by King Saul, the first King of Israel to communicate with the dead prophet Samuel. King Solomon - Old Testament - Fourth King of Israel. 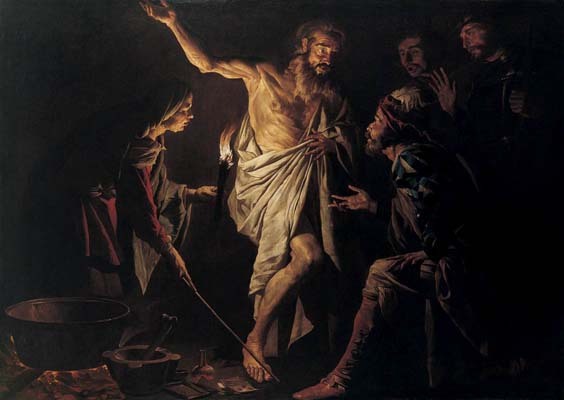 Typically renowned for his great wisdom, Solomon was also considered a great magician. The Gnostic Apocalypse of Adam tells us how Solomon has command of a legend of demons. He uses them to seek out a virgin who had fled from him and to help build his temple; in which he housed the Ark of the Covenant. The Old Testament also tells us that Solomon worshipped multiple Gods. “…and his heart was not whole with the LORD his God, as was the heart of David his father. Some of the magical items attributed to Solomon include the Seal of Solomon, Key of Solomon and his table. One tradition describes a magic carpet made of green silk with a golden weft measuring sixty miles long and sixty miles wide. Erichtho - A Thessalian witch called upon by Sextus Pompeius to reveal the outcome of the Battle of Pharsalus in 48 BC. She is also mentioned by Dante Aligheri in his Divine Comedy. Cassandra - Daughter of King Priam and Queen Hecuba of Troy. Her beauty caused the God Apollo to grant her the gift of prophecy. She is also cursed for not returning Apollo’s love in that no one would ever believe her predictions. She foretells the destruction of Troy, the Trojan Horse and the death of Agamemnon. Ceridwen - A Welsh enchantress who possessed a cauldron that could produce a potion granting the gift of wisdom and poetic Inspiration. Myrddin Wyllt - A Welsh prophet and most important prototype of the legendary wizard Merlin. In 573 he goes mad after the battle at Arthuret and flees into the woods. It is believed he found his gift of prophecy from the animals. He successfully prophesized his own death by falling, stabbing and drowning. Merlin - Perhaps the most famous wizard of all time. He is the archetype for all modern wizards including Gandalf and Albus Dumbledore. The first literary appearance of Merlin is in Geoffrey of Monmouth’s Historia Regum Britanniae, written in 1136. He successfully engineers the birth of King Arthur and brings him to the Lady of the Lake where he receives Excalibur. Nicolas Flamel (1330-1418) - A French scrivener and manuscript seller. The essence of his reputation is that he succeeded at the two magical goals of alchemy; that he made the Philosophers Stone, which turns lead in to gold, and that he and his wife achieved immortality through the Elixir of Life. His reputation was also further elevated into the mainstream in the late 1990's with J.K Rowling's ​Harry Potter and the Philosophers Stone. Ursula Southeil (1488-1561) - Also known as Mother Shipton, Ursula Southeil was a famous English fortune teller and prophetess. It is recorded in the diaries of Samuel Pepys that whilst surveying the damage to London caused by the Great Fire in the company of the Royal Family they were heard discussing Mother Shipton's prophecy of the event. Agnes Waterhouse (1503-1566) - The first woman executed for witchcraft in England. She confessed to being a witch for 15 years and that her familiar (a supernatural entity that assisted her in the practice of magic) was a cat named Sathan. She was accused of using witchcraft to cause the death of William Fynne, kill livestock, cause illness and bring about the death of her husband. Michel de Nostradamus (1503-1566) - A French apothecary and prophet. Some of his more famous predictions include the Great Fire of London, the rise of Napoleon I in France, Adolf Hitler in Germany, both World Wars, the nuclear destruction of Hiroshima and Nagasaki, the Apollo moon landings and the September 11 attacks on the World Trade Centre. 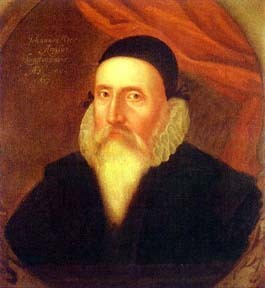 John Dee (1527-1608) - An English mathematician, astronomer, astrologer, occultist, navigator, imperialist and consultant to Queen Elizabeth I. He devoted much of his life to the study of alchemy, divination and Hermetic philosophy. Much of his time during the last 30 years of his life was spent trying to commune with angels and spirits to bring about the unity of mankind. The crystal ball in which he used to commune with the angles current resides in the British Museum in London. Tituba - A 17th century slave belonging to Samuel Parris of Salem, Massachusetts. During the Salem witch trials of 1692 she was the first to confess to witchcraft. In her confession she talked about black dogs, hogs, a yellow bird, red and black rats, cats, a wolf and speaking with the Devil. She also mentions riding sticks to different places and that Sarah Osborne, also accused, possessed a creature with the head of a woman, two legs, and wings. However, it is believed that she was severely coerced into her confession. What is interesting is that even though she confessed to a capital offense and was a slave, Tituba was never tried or executed for her role in the witchcraft trials. She was later released from jail with no record of where she went or what happened to her. 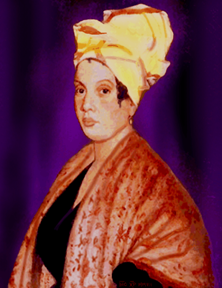 Marie Laveau (1794-1881) - Marie and her daughter (also Marie Laveau 1827-1895) were Louisiana Creole practitioners of Voodoo in New Orleans. In 1874 as many as 12000 people came out to watch Marie Laveau II perform her legendary rites on St. John’s Eve on the shores of Lake Pontchartain. On June 16, 1881 the New Orleans newspapers announced that Marie Laveau had been beheaded in the top tower of her own home. This is noteworthy if only because people claimed to have seen her in town after her supposed demise. She in fact died peacefully in her sleep.